Everything You Should Know About Water Slider And Its Major Advantages!! 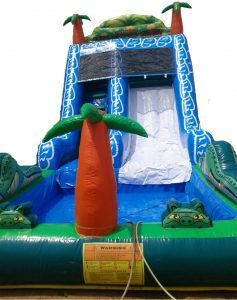 Water slider is a great fun for all events and parties that take place in the hot summer season. This slider can liven up any party and can provide hours of thrill and excitement. These can be set up anywhere and can be used in dry as well as wet seasons as these are made with vinyl material which is safe and super strong for all climates. Water sliders range from large size to medium slides on which people from all age group can play and enjoy. These days many of the inflatable water slides are available in the market that has made life a lot easier, especially in the hot months of summer. Since these can be expensive, an ideal way is to simply rent the best quality water slider for the season. These will help to keep the children occupied and will also be the best way to have a gala time at your party. On the other hand, using these water sliders comes with several benefits as well as advantages that you must know so that you can also get one for having a fun time. The major advantage of having a water slide is its portability feature. The inflatable water slide can easily be moved from one to other without any hindrance. Whether you have to keep it in a new position or you have to take to it your friend’s place, all is possible by simply deflating and again inflating the slide. Almost all the water slides have a long shelf life as these are made of strong material. Most of them are made of vinyl which has high power to resist punctures that helps to withstand the water slide for an extended period of use. All you need to set up the water slider is a flat ground. This can be fitted indoors as well as outdoors depending on your choice. All the other required tools for setting it up comes included in its package so that you don’t have to worry about anything. You only need to have a constant water supply so as to have a fun filled time. The vinyl material from which the water sliders are made are very safe and secure for the children. If one is banged on the sides or the surface of the slide, then also it cannot cause any damage or accident as each of the sides and the overall surface is fluffy and soft. The water sliders use less amount of water unlike the swimming pools and other permanent water slides. Moreover, you can also reuse the used water as long as it is clean and hygienic for using. So, based on the above-mentioned advantages, it is quite convincing that the water sliders are an ideal way to be kept at homes for having the most enjoyable time. You can purchase or even rent it from a genuine supplier and can use it to have the best time during your summer vacations.